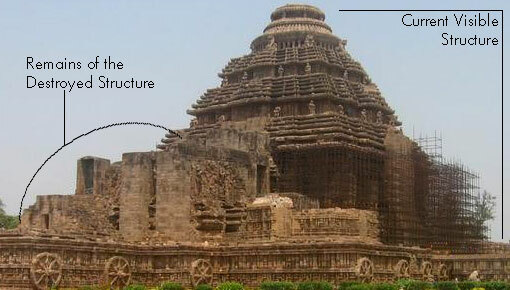 Where Did the Remaining Portion of the Konark Sun Temple Go? 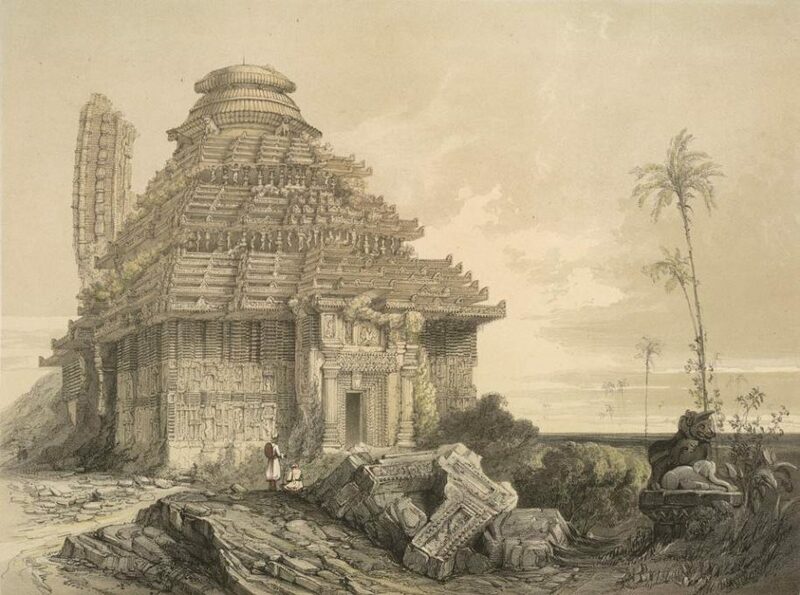 An interesting aspect of the Konarak temple complex is the collapse of the main temple. Some scholars even believe that the main temple was never completed. 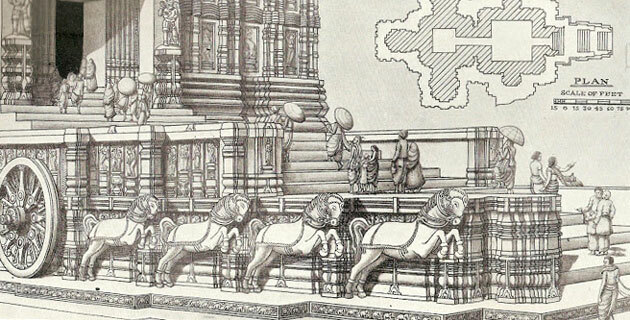 Percy Brown asserted that the temple collapsed even before its completion. This theory, is however, not believable. The erection of the temple was undoubtedly the greatest achievement of Narasimha I. This fact was repeatedly recorded in the copper plate charters of his successors. The reference to this temple in the records of the successors of Narasimha I clearly proves that the temple was completed and the latest known reference made in the Kenduli plates of Narasimha IV of the Saka year 1305 (1384 A.D.) shows that at that time the monument was in a perfect state of preservation and the presiding deity was under worship. There is an inscription datable to the 14th century on the temple itself mentioning assignment of deities of rituals to various officials of the temple. This means that the temple was completed, and ceremonies connected with worship were started. This evidence comes out from many other texts. Abul-Fazl, the famous historian of Mughal Emperor Akbar’s court (1556-1605 A.D.) in his Ain-i-Akbari gave an account of the temple of Konarak standing in great prosperity. The European sailors accounts also mentioned about the “Black Pagoda” and “Jaggarnut Pagoda”. However, in course of time the main temple has collapsed. Rajendra Lal Mita while visiting the temple in 1868, and Hunter in 1870, have recorded eye witness accounts of the ruins. 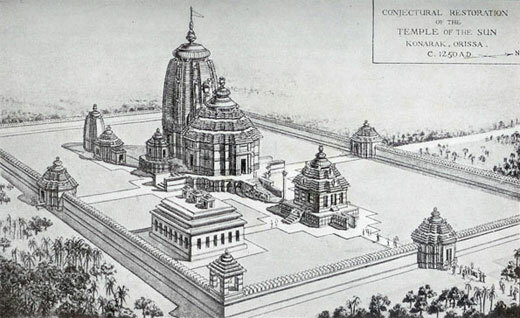 There is something mysterious about the collapse of the temple, when temple of similar dimensions built earlier at Puri and Bhubaneswar stand today without major decay. Some scholars believe that the reason was a natural catastrophe like lightning or an earthquake. James Fergusson was of the view that it was because of the marshy foundation which could not support the enormous mass. 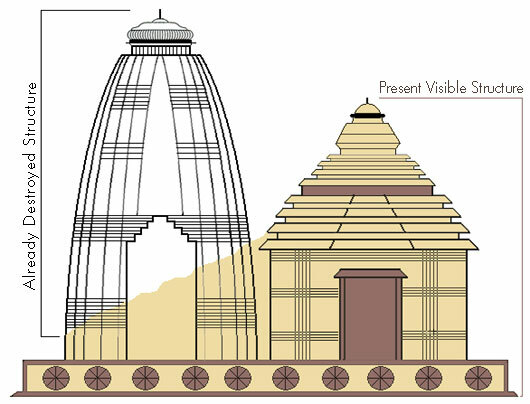 There is also a theory that Kalapahar, a Muslim invader who desecrated the Jagannath temple at Puri in 1568 also attacked the Konarak temple paving the way to the ruin of the temple. The temple in any case was exposed to very adverse conditions of nature like nearness to the shore, heavy monsoon showers, growth of vegetation on the temple, and saline affect. The temple was never repaired or maintained since its construction. In 1929 a stone which was covered with moss and lichen was examined by P. Parya, a Botanist of international repute. 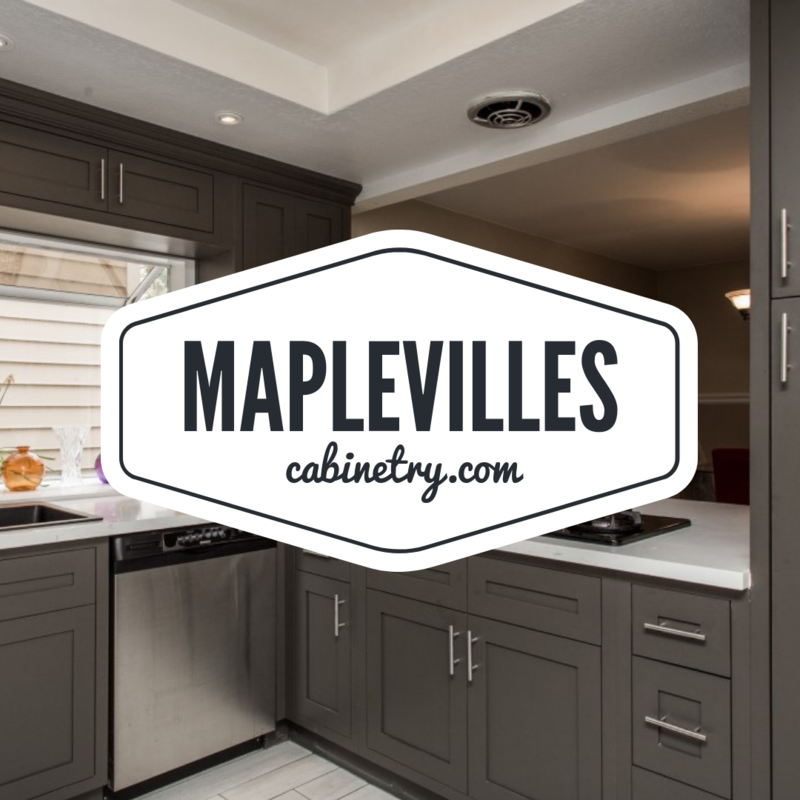 There were 357 layers on the stone. Accepting that one rainy season was necessary for deposit of one layer, 357 years must have elapsed for the formation of 357 layers. So the monument must not have been looked after since the year 1573 A.D. In view of the long years of neglect, the dilapidation of the temple might have happened in the course of a slow and gradual process. During the British rules, steps were taken for conservation of the remaining part of the temple. To save the Jagmohan from possible collapse, the four entrances were permanently closed, and the interior was filled with sand vertically from the top by drilling a hole and pouring sand through a funnel. This was started in 1901 and completed in 1904 under the supervision of Bishan Swarup, Executive Engineer. The conservation of the remaining part of the Konarak temple is still a challenge before the Archaeological Survey of India which took charge of the temple in 1939. A.L. Basham as said “if the world wishes Konarak to be preserved for posterity, action and expensive action such as a developing country cannot afford alone must be taken soon”. 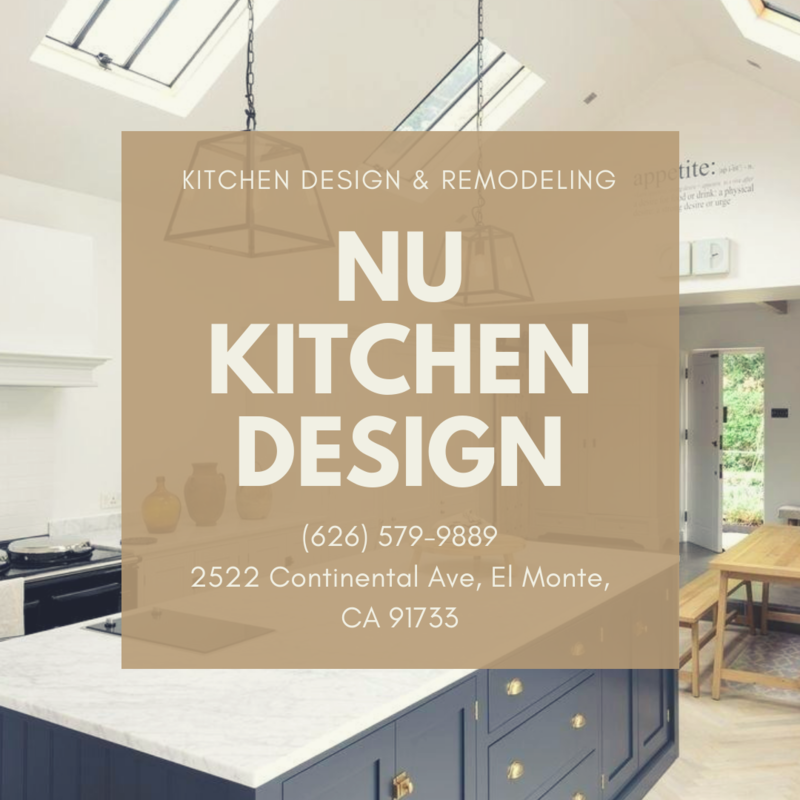 Disclaimer: This post originally appeared here.